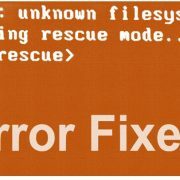 Open the Command line Terminal by searching it from the Ubuntu Application search or just press the CRTIL+ALT+T shortcut from the keyboard. 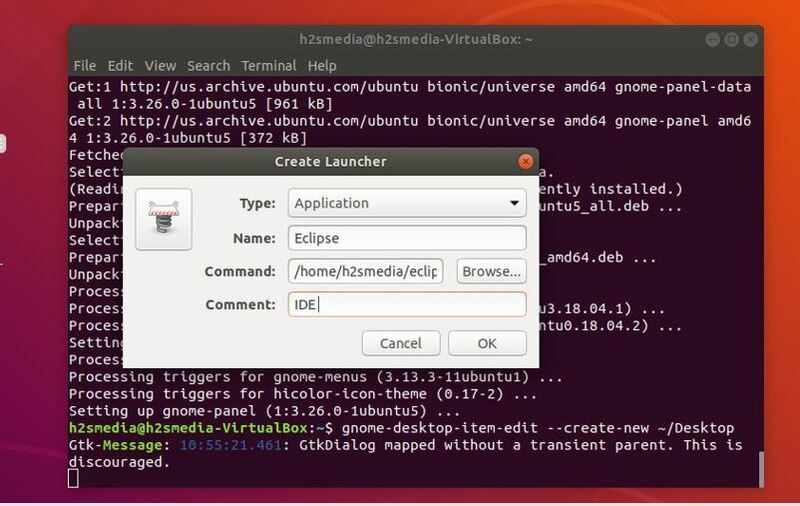 Once the panel installed to use the below command to create a desktop application launcher. 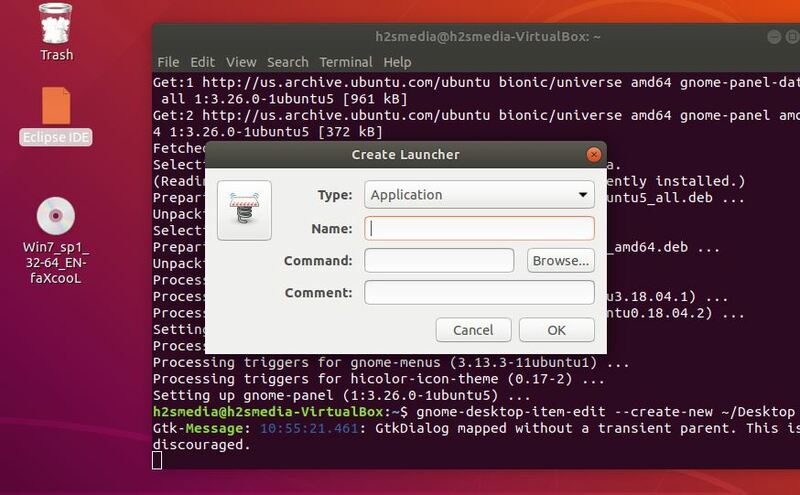 Once the above executed, the Desktop shortcut creator launcher will open. 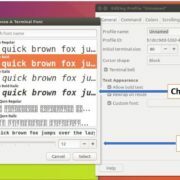 It allows you to create desktop shortcuts for Application, Application in Terminal and Location. 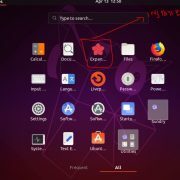 Give some name to your Desktop shortcut and then Click on the Browse button to select the application that shortcut you want to create on the Ubuntu Desktop. 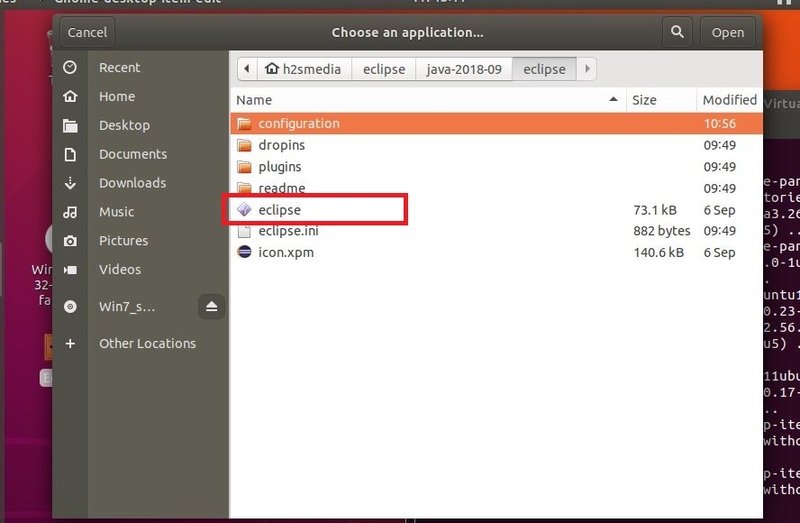 For example, here we are creating a shortcut for Eclipse then we clicked on the Browser and selected the eclipse executable file from its installed folder. After giving the command path, mentioned some comment if you want to give to your desktop shortcut otherwise leave it blank and just click on the OK button. 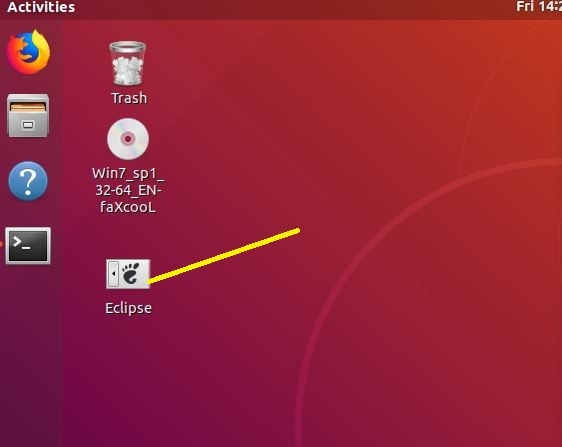 You Desktop icon will show on your Linux / Ubuntu Desktop. Click that to execute it.